Aviators Paradise on the R512 between Hartebeespoort Dam and Brits was founded by Piet Smit. Piet and his faithful companion Piper, the Bullmastiff, were always at hand to greet visitors to the airfield. 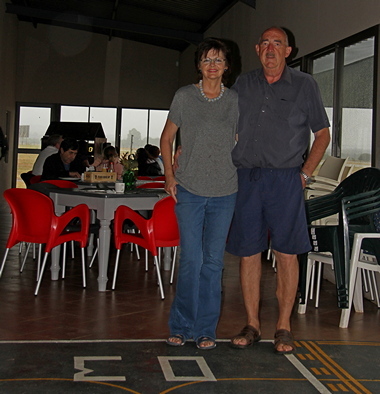 Piet sadly did not survive an accident at Wonderboom and when Johan and Isabel took over the completely rebuild clubhouse/restaurant they adopted Piper and named the restaurant after the friendly Bullmastiff who now welcomes all visitors to Piper@Aviators Paradise. 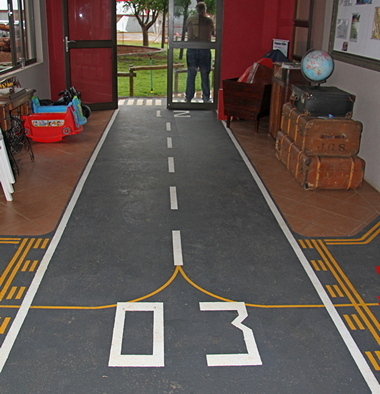 The unmanned airfield (GPS S25 40 33 and E27 49 57) with its 850 metre tarred runway is on the Northern side of the majestic Magaliesburg Mountain and is surrounded by its lush green fields of Langplaas Organic farm. Only 10 km from the dam and 7 km from Brits the airfield and Piper@Aviators Paradise is close to the many tourists attractions in the area including Bush Babies, the Elephant Sanctuary, Chameleon Village and Cable View. Piper@Aviators Paradise is not your normal airfield restaurant, besides the normal dishes at very affordable prices visitors can overnight in tastefully furnished rooms with en-suite bathrooms in their B&B. They are also available for functions tailored to your specifications. Unique to Piper's is their Laser Sport Clay Pigeon shooting which is ideal for team building. Teams compete against other shooting high technology lazer rifles.